Have you ever left the house and forgot to close your garage door? We once left ours open for an ENTIRE week while we were on vacation. Thankfully everything was still where we left it when we returned home, other than a few extra scorpions wandering about in the garage. 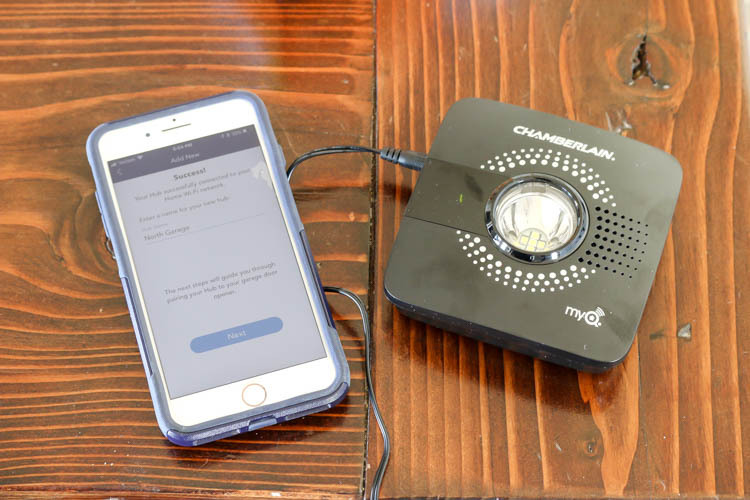 I’m partnering with The Home Depot today to show you how to turn your garage door opener into a smart opener using the MyQ Smart Garage Hub from Chamberlain. 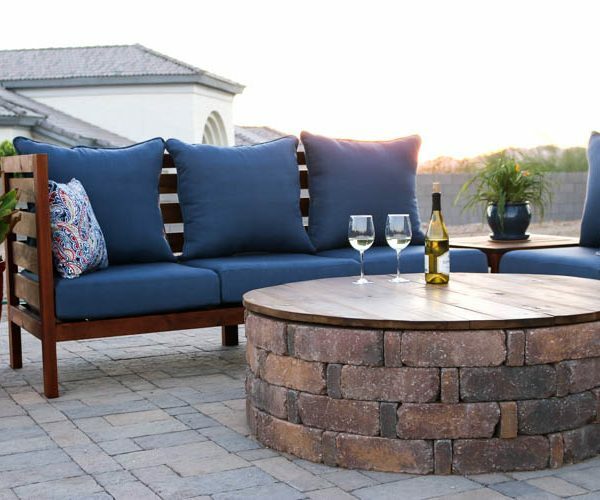 Then you’ll never have to worry about leaving your garage open again! 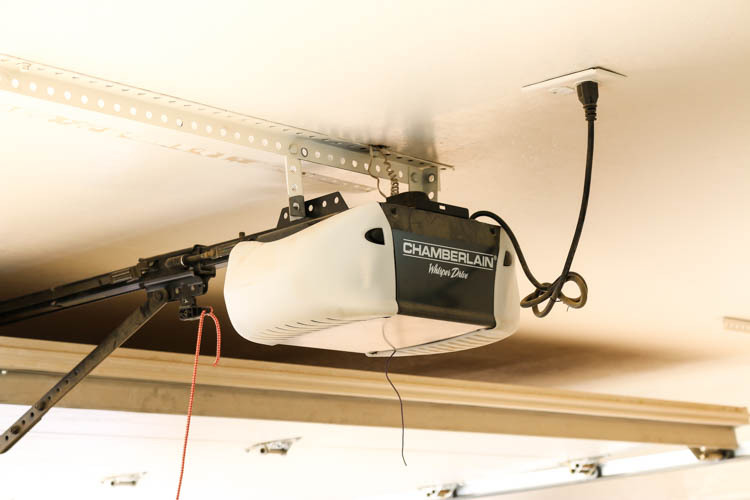 We installed a Chamberlain MyQ garage door opener on one of our garage doors a few years ago and absolutely love it. We had been planning to install one on our other garage door, but just couldn’t see ourselves taking down a perfectly good opener that was maybe only 5 years old. Luckily, the folks at Chamberlain have a solution for people like us who don’t need a new opener, but would love the ability to still remotely open, close and monitor the garage door. 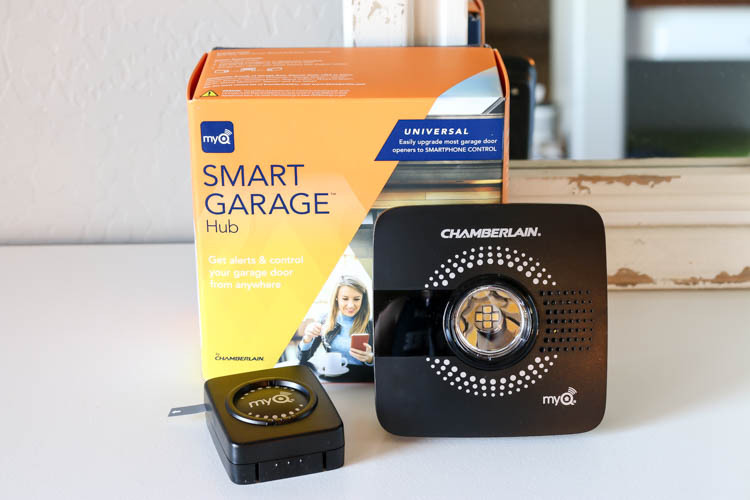 The MyQ smart garage hub from Chamberlain makes turning your garage door opener into a smart opener a piece of cake! Setting it up is unbelievably easy. You just plug it in and follow the instructions included with the hub to sync it to your WiFi network. 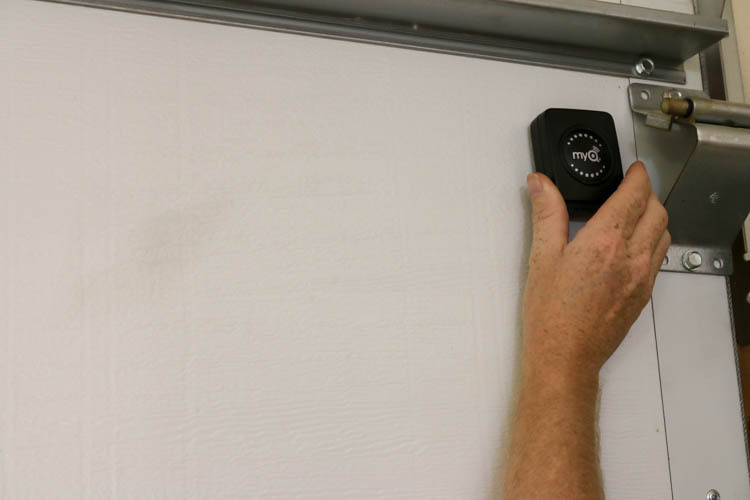 The next step is to install the door sensor on the upper corner of your a garage door. 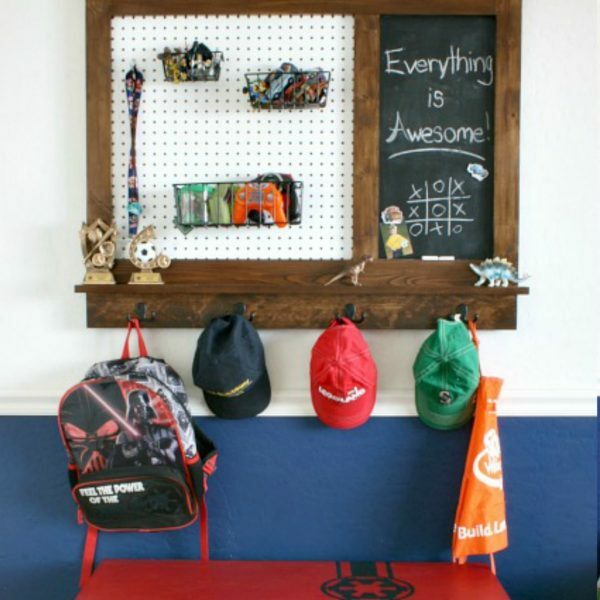 They include either screws or Velcro strips for easy, removable installation. This sensor is battery powered and syncs to the hub to let it know when the door is open or closed. Of course, given that it is a sensor, it probably would have been better had I not dropped it on my way to the garage, but it still works! The things my poor husband has to deal with from me. 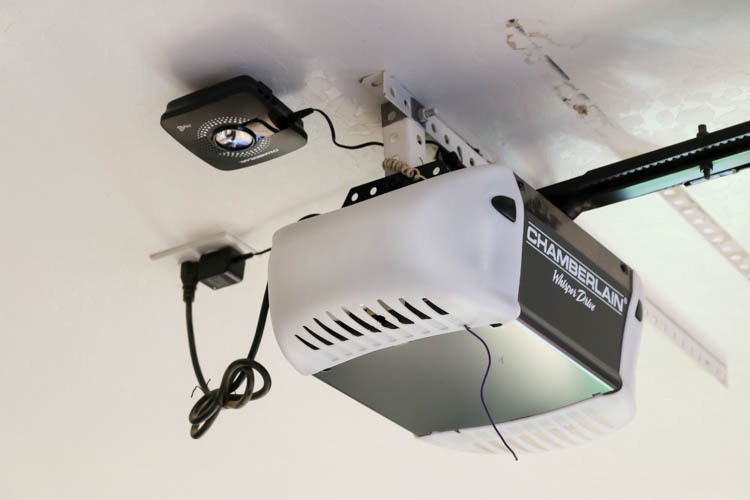 The hub also detects the signal from the garage door opener to sync to it as well. It’s as simple as pushing a button on the opener. Once the hub was all set up and we tested it from my phone, we installed it to the ceiling next to the opener. The install was so quick and simple. 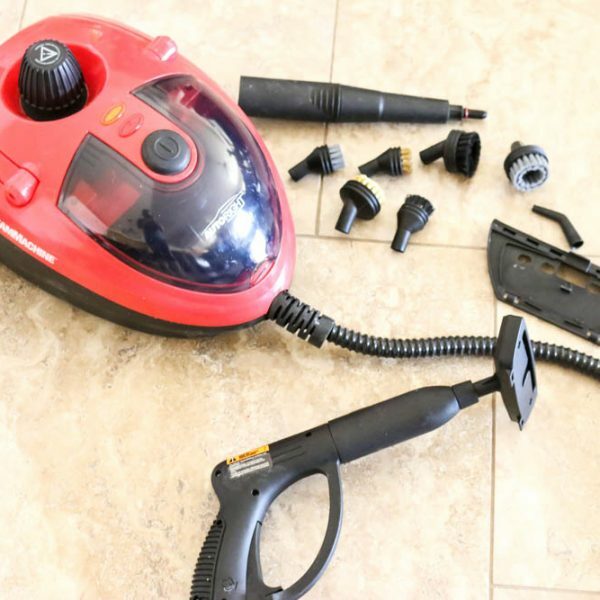 My husband and I literally both said “there’s no way it’s that simple.” I kept flipping through the pages of the instructions, sure I missed a page or a step somewhere, but we hadn’t! It was maybe 10 minutes spent setting everything up. You can’t beat the ease of that at all! 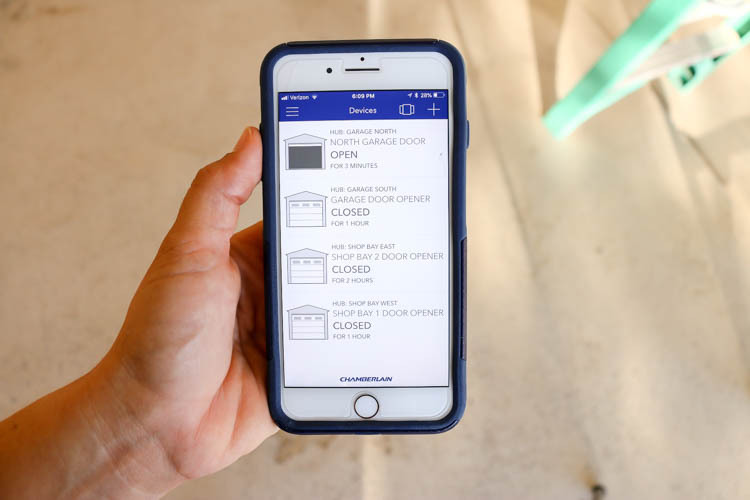 Now, from the MyQ app on our phones, we have the ability to operate all of our garage door openers from one place! You’ll notice we have four of them. 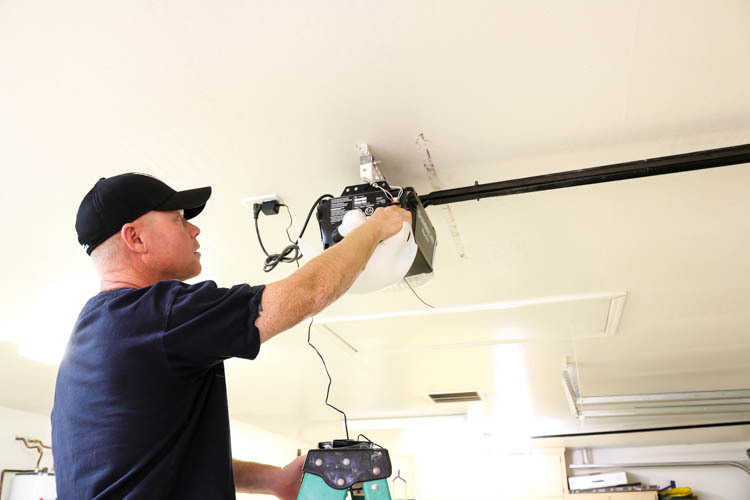 We installed Chamberlain’s sister brand (LiftMaster) on the big garage doors on our workshop because we loved the MyQ technology so much. Now we can always make sure that all of the doors are opened or closed when we need them to be. This is especially helpful when I’m driving away from the house and notice I left the workshop doors open on my many Home Depot runs throughout the week. If you’ve been looking to turn your garage door opener into a smart opener, I can’t say enough good things about the MyQ Smart Garage Hub. The install is so simple and great for anyone who either doesn’t want to or doesn’t need to install a whole new opener. 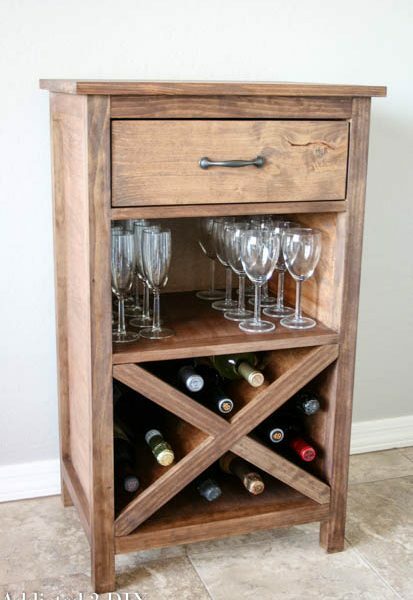 Plus, it retails for under $80, so it’s a great buy for the capabilities you are getting. It doesn’t matter what brand you have. The only requirement is that your opener has the sensors on the bottom to detect an obstruction (aka a person). This is for added safety, as the hub does not sound an alarm (beeping) when it has been signaled to close. 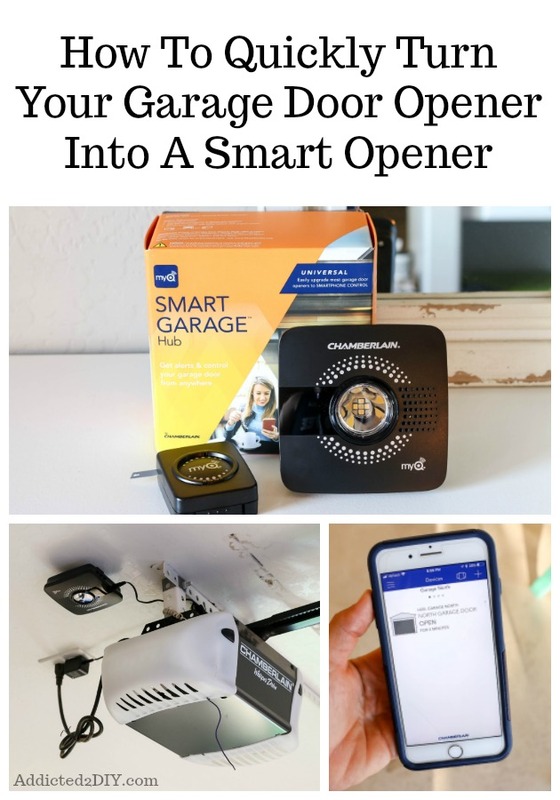 Feel free to pin and share this post to share with others you know may be in the market for a smart garage opener! Also be sure to check out my new Smart Home page to see all of the other ways we’re upgrading our home. next article: Blog Swap / Meet Stacy from Not Just A Housewife!